That brings my total weight loss to 55.3 pounds! When the numbers on the scale move slower, I remind myself that this is a journey and not a race. I have to look at the overall picture and remind myself exactly how far I've come! Slow and steady... one day at a time! You're doing fantastic. Like you said, it's a journey, not a race. You're doing things the healthy way and your positive attitude rocks! You did it!!! That's fantastic, you should be so proud! Congrats! 55 lbs is HUGE!! Even though it has slowed down, it's still heading the way you'd like! AMAZING! I love seeing your posts - they're inspiring! They say after you've lost a lot of weight, it's easy to plateau, but I love your mindset and love how you're not giving up! Wow that is awesome! I am inspired and impressed! Love the acronym! 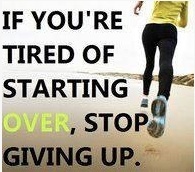 Keep working it! Your an inspiration! 55 pounds - that is so fantastic! You are a great inspiration to others! I am totally blown away by your weight loss! We need to see before and after pics! There are before/after pics at my 40 pounds weight loss point. 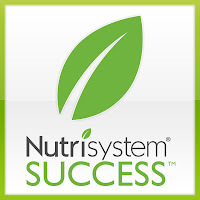 You can see them by clicking on the Nutrisystem tab at the top of my blog page. By the way, I just checked out your after photos, and you look great!